Replacement white knob to put you back in control of your cooker. Cooker control knobs are used heavily, and tend to need replacing long before other components. 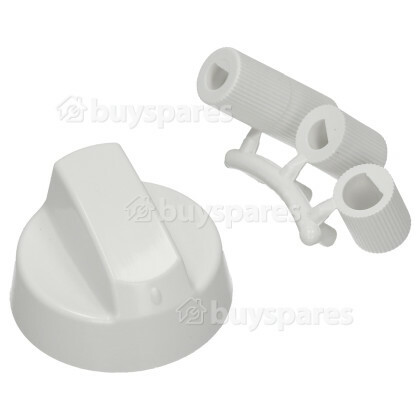 If your existing control knob is damaged or badly worn out, then take advantage of this quality replacement. 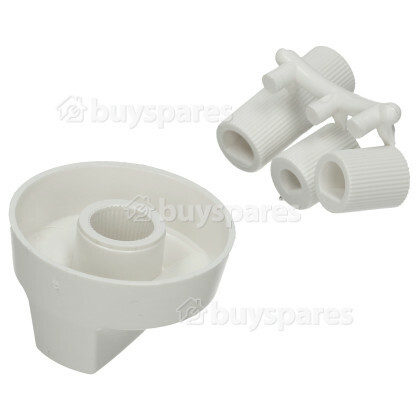 This replacement control knob supplied with 3 different sized spindles is an ideal spare part to fit all makes of Cookers Ovens and Hobs.